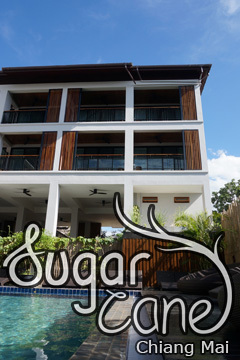 VC@SUANPAAK Hotel & Serviced Apartment - Chiang Mai Airport, Chiang Mai, Thailand - Great discounted rates! 9.0 out of 10 based on 689 verified user reviews via Agoda. Located in Chiang Mai Airport, VC@SUANPAAK Hotel & Serviced Apartment is a perfect starting point from which to explore Chiang Mai. Featuring a complete list of amenities, guests will find their stay at the property a comfortable one. Service-minded staff will welcome and guide you at the VC@SUANPAAK Hotel & Serviced Apartment. Some of the well-appointed guestrooms feature television LCD plasma screen, internet access ?ÛÒ wireless, internet access ?ÛÒ wireless (complimentary), non smoking rooms, air conditioning. The hotel's peaceful atmosphere extends to its recreational facilities which include sauna, outdoor pool, pool (kids), garden, steamroom. VC@SUANPAAK Hotel & Serviced Apartment combines warm hospitality with a lovely ambiance to make your stay in Chiang Mai unforgettable. VC@SUANPAAK Hotel & Serviced Apartment - Chiang Mai classifies itself as a 4 star hotel.